RTB Law & Title, P.A. currently has convenient locations in St. Petersburg and Tampa and we are always working to open an office near you. We offer representation throughout the entire state of Florida and can help with legal and title issues. The law firm's core values are the foundation of our effective practice and ability to achieve results. Our exceptional team of Pinellas, Hillsborough, and Orange County lawyers is committed to upholding the highest standards by applying these principles to every case. Our commitment to our clients Integrity We act with truthfulness, honor and reliability to achieve the best results for our clients. Excellence We invest in the people and technology necessary to provide our clients with exceptional representation. Service We give each of our clients personal attention and handle each case efficiently and cost-effectively. Zeal We advocate for our clients' rights and litigate their claims aggressively when trial can accomplish the most beneficial outcome. Communication We update our clients about the status of their cases, promptly return calls and remain available to answer questions and address concerns. REAL ESTATE | PROBATE/ESTATE PLANNING | FORECLOSURES | FAMILY LAW | BUSINESS LAW The Burbine Law Firm, P.A. has office locations in Clearwater and Tampa. Call The Burbine Law Firm, P.A. at our Toll Free Number 1(866) 670-5556 or contact us online to schedule a free consultation. Help for your family when you need it most. Our dedicated Florida divorce lawyers at The Burbine Law Firm, P.A. help you make good decisions to satisfy your immediate needs and ensure long-term security. We support you during the difficult period of divorce and family conflict to make sure your rights are protected and you are treated fairly by the courts and your former spouse. We can help you with cases involving: Divorce Military divorce Domestic violence injunctions Child custody Child support Spousal support Division of the marital home & other marital property Modification of orders Our family law attorneys can also represent you during negotiations and drafting of your prenuptial agreement. Although you plan to spend the rest of your life with the person you love, our lawyers protect you in case unanticipated circumstances result in the dissolution of your marriage. 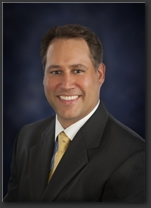 Raymond Todd Burbine is the founding member of The Burbine Law Firm, P.A. in Clearwater. Before starting his own firm, Mr. Burbine gained exceptional experience as an associate and law clerk. Mr. Burbine clerked with the Orange County Public Defender's Office in California, the Tampa City Attorney's Office and several prestigious law firms. Mr. Burbine has held the position of assistant city attorney with several local municipalities and has been a member of local rotary clubs and business groups, and has built a solid reputation for integrity and trust in the legal community. Mr. Burbine lives in Dunedin, Florida with his wife, Cindy, and their two children and two dogs.